I’m not saying I’m a professional thinker or anything, but shouldn’t this notice be somewhere on the outside of the door? If the washer’s running, that door’s locked. 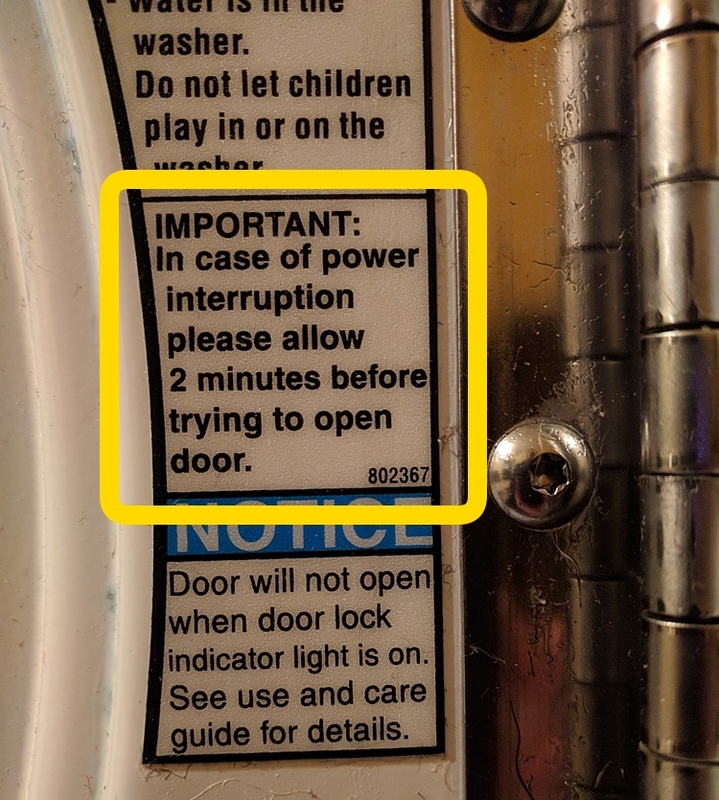 If the power’s out, you won’t see the notice under the locked door telling you to wait.